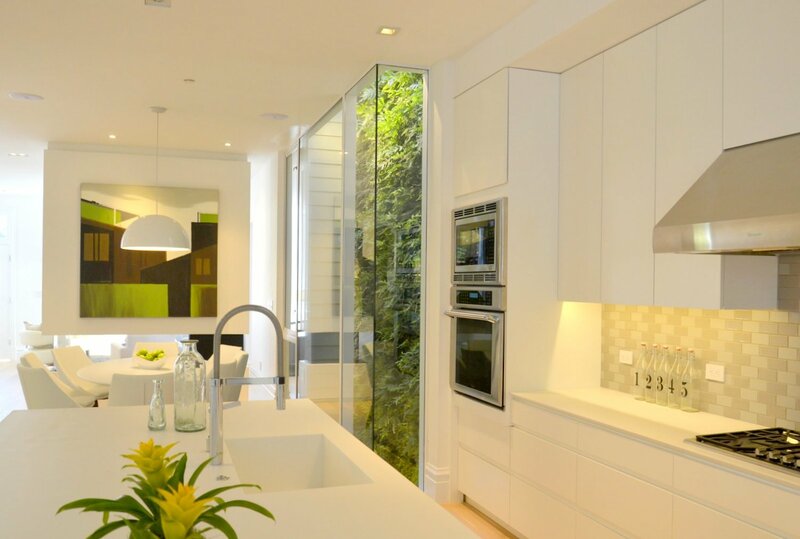 Florafelt Vertical Garden by Joanna Wong and Durkin Inc. for a luxury remodel in San Francisco. 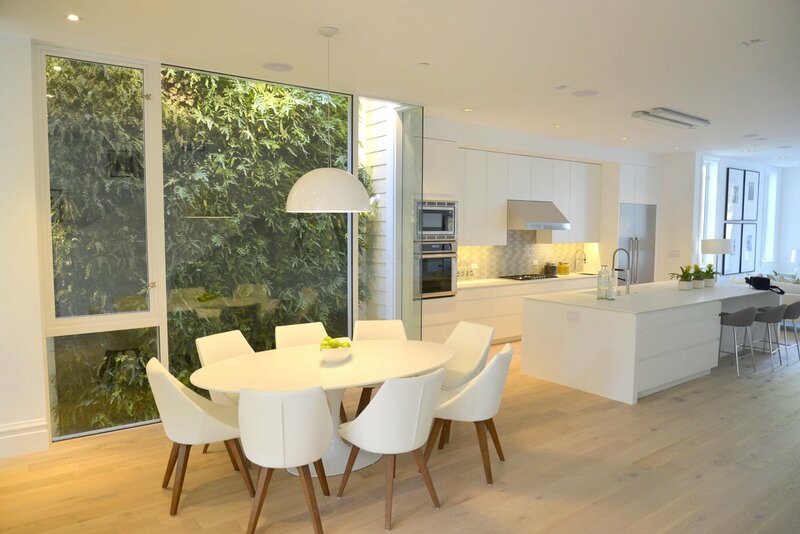 Luxury remodel in San Francisco’s Cole Valley gets a big dose of urban green. 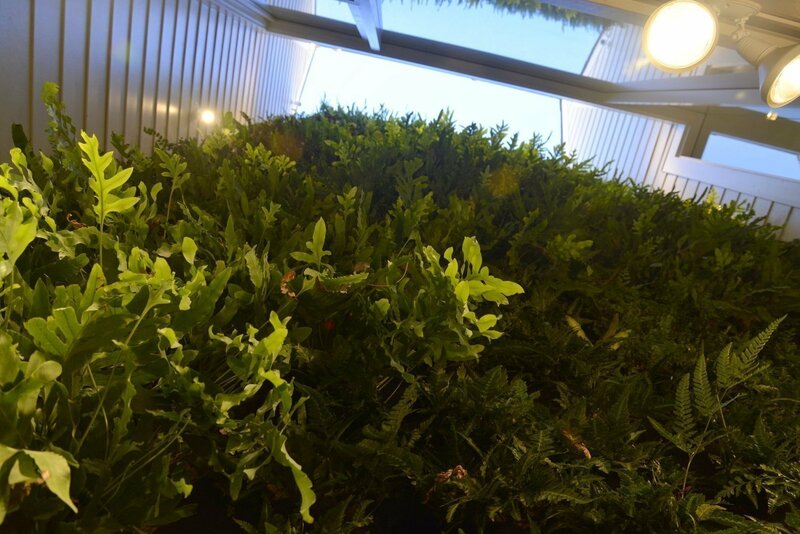 Florafelt Vertical Garden Planters are used to fill the 30 foot tall window well with ferns. 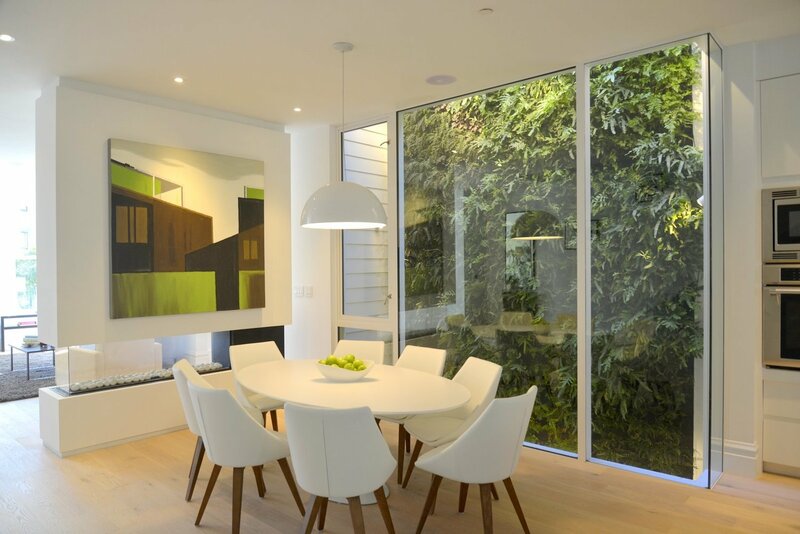 Joanna Wong and Durkin Inc. created a living wall as a focal point for their luxury remodel located in San Francisco’s Haight Ashbury area. 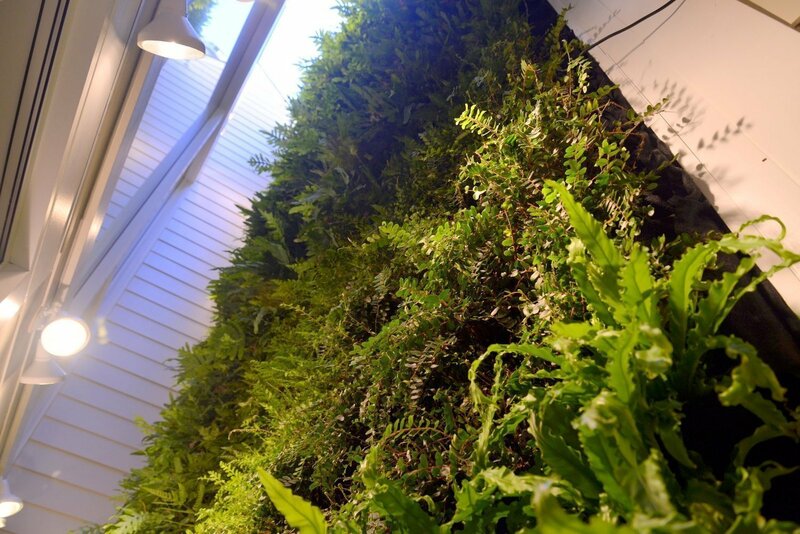 Real Estate Developer Joanna Wong describes her experience using the Florafelt Vertical Garden System to design and construct a 3 story plant wall to create verdant views where once there were walls. 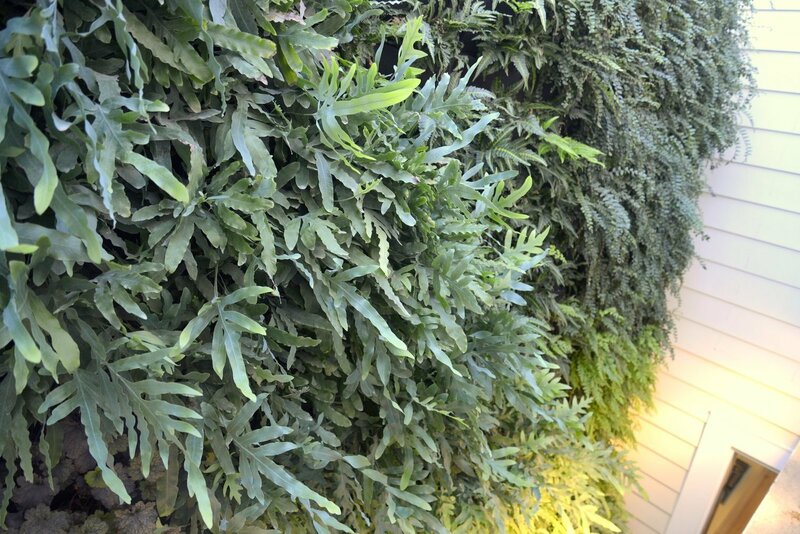 – Simple Drip-Irrigation at the top. 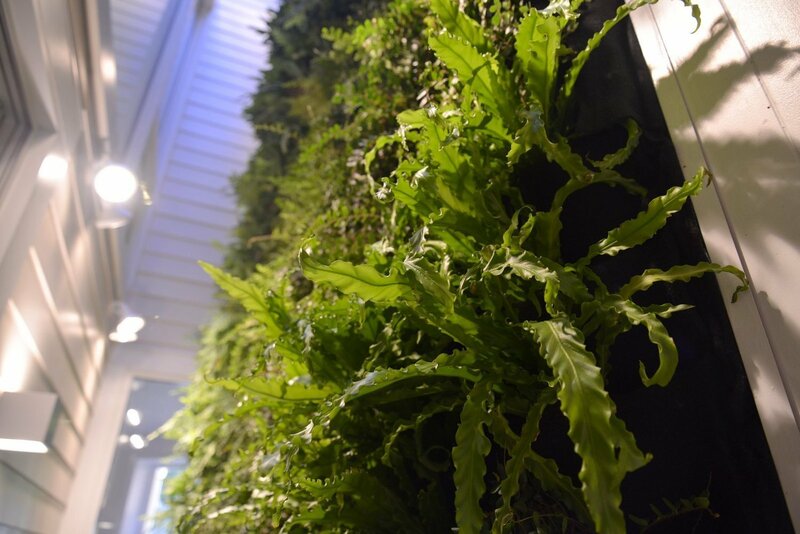 – Floor Drain at the bottom.